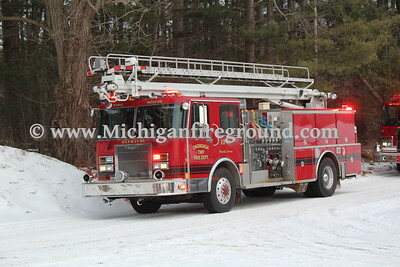 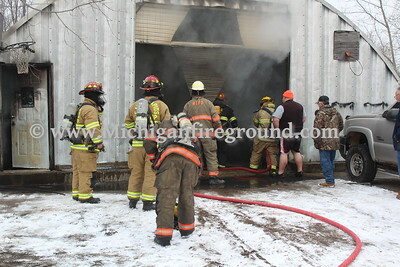 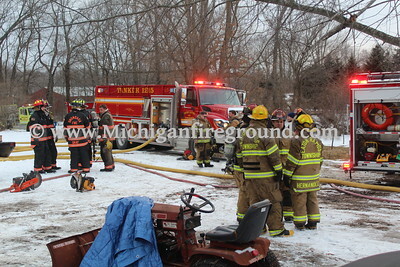 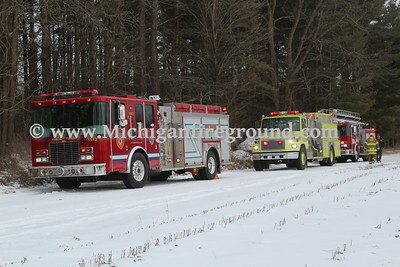 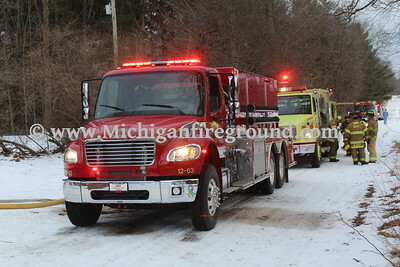 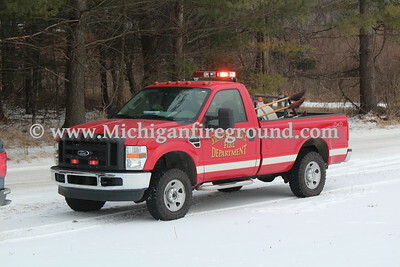 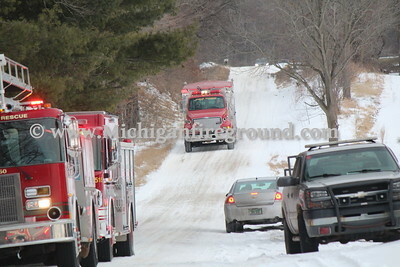 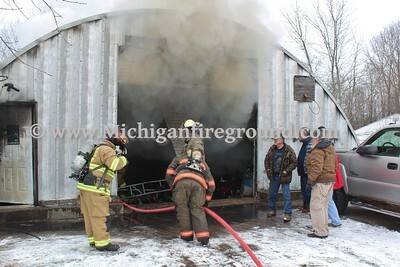 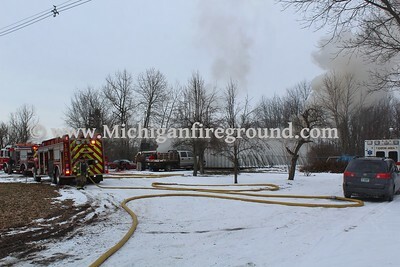 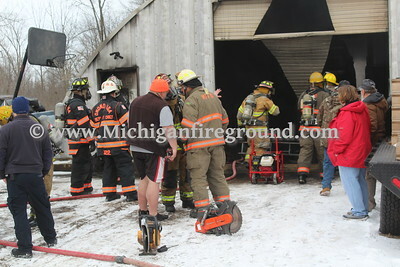 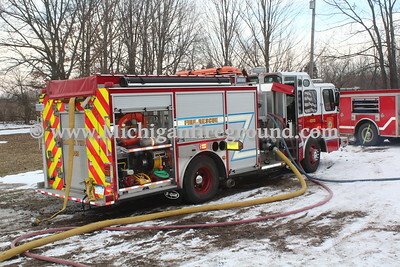 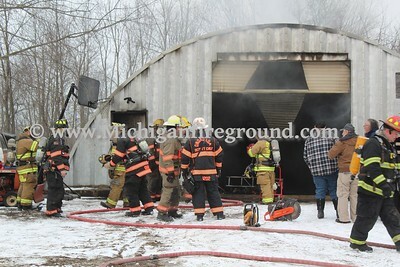 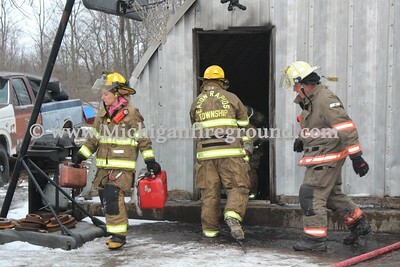 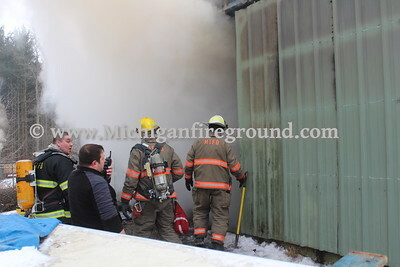 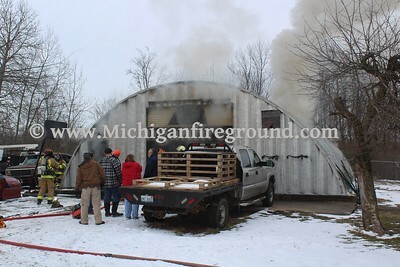 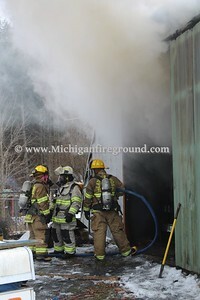 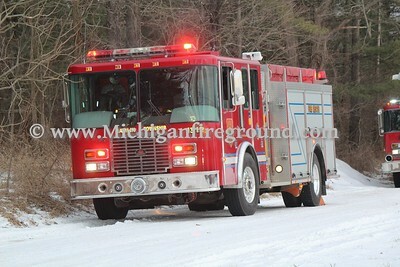 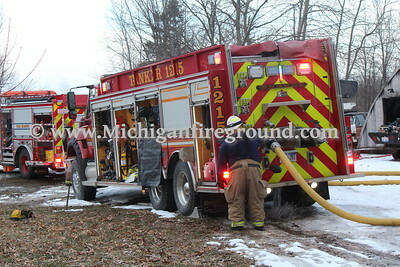 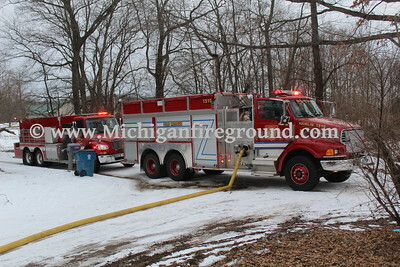 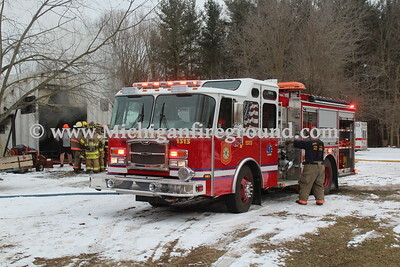 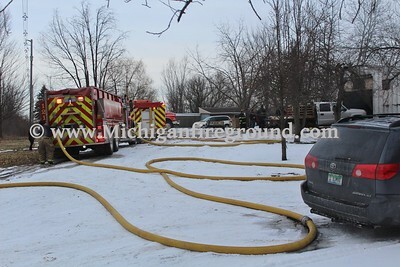 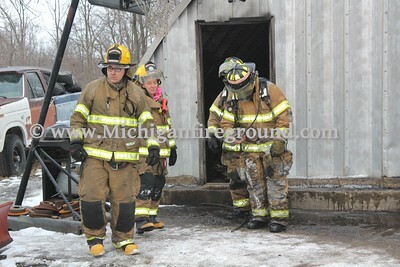 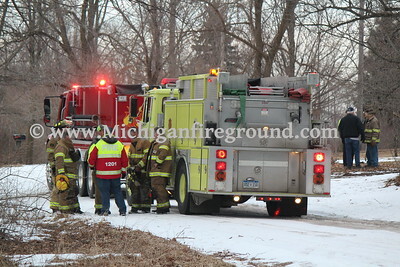 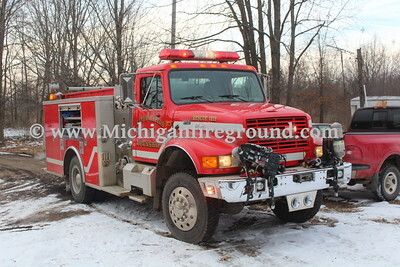 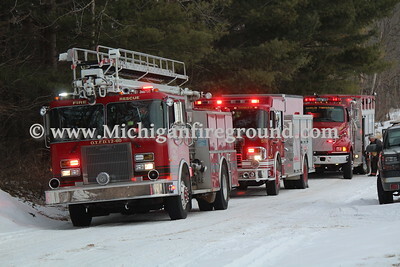 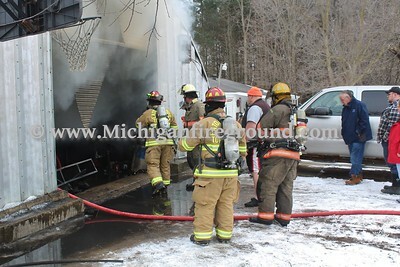 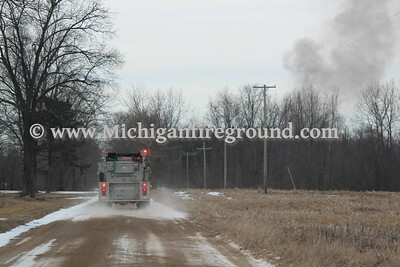 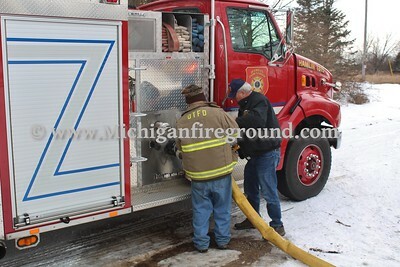 Just before 5 PM on Thursday, March 7, 2019, the Hamlin Twp, Eaton Rapids, and Eaton Rapids Twp fire departments were dispatched to a barn fire at 6487 Kikendall Rd. 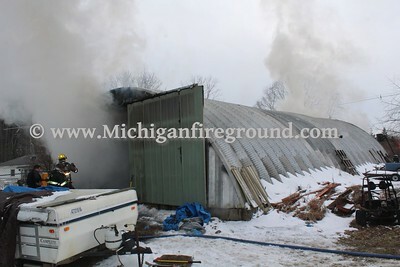 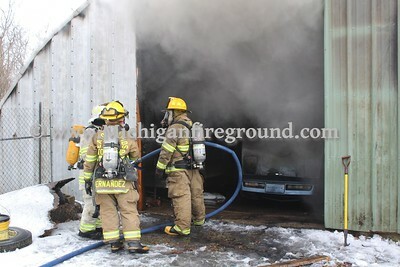 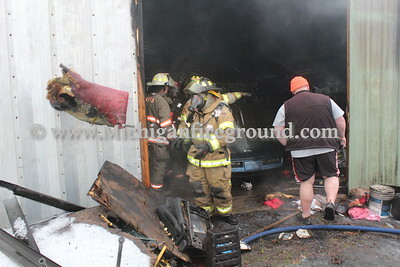 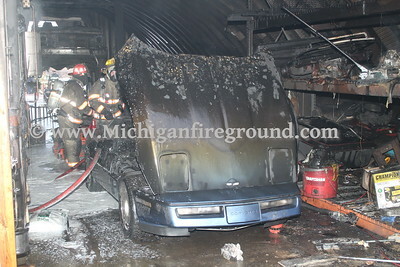 First arriving command found a working fire involving vehicles inside a quonset style building. 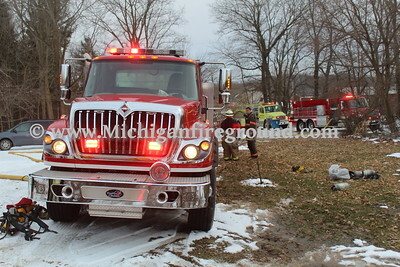 Additional tankers and manpower were requested from the Onondaga and Springport fire departments. 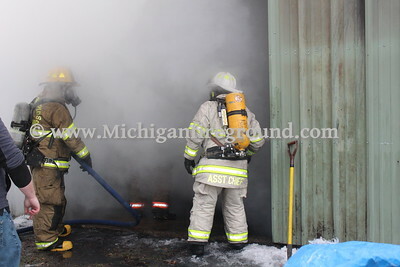 Initial access and fire attack was made thru a sliding door on the C-side of the structure, then crews cut thru a roll-up door on the A-side to get full access and ventilation. 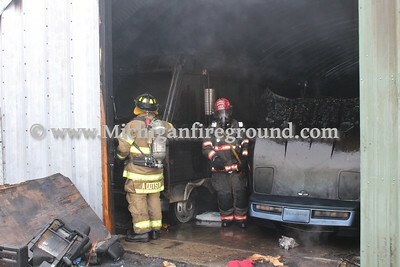 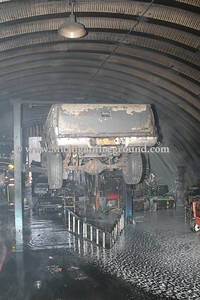 Once access was gained to the vehicles, the fire was brought under control quickly.